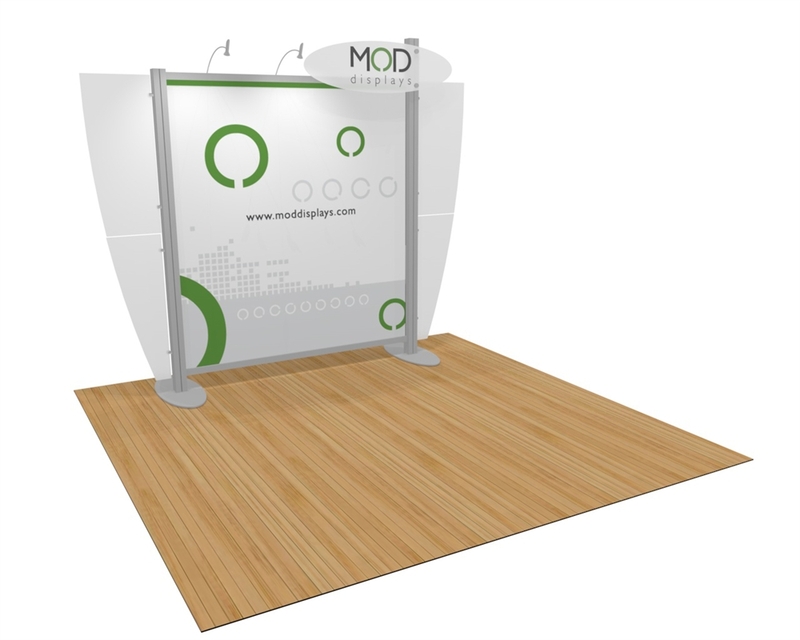 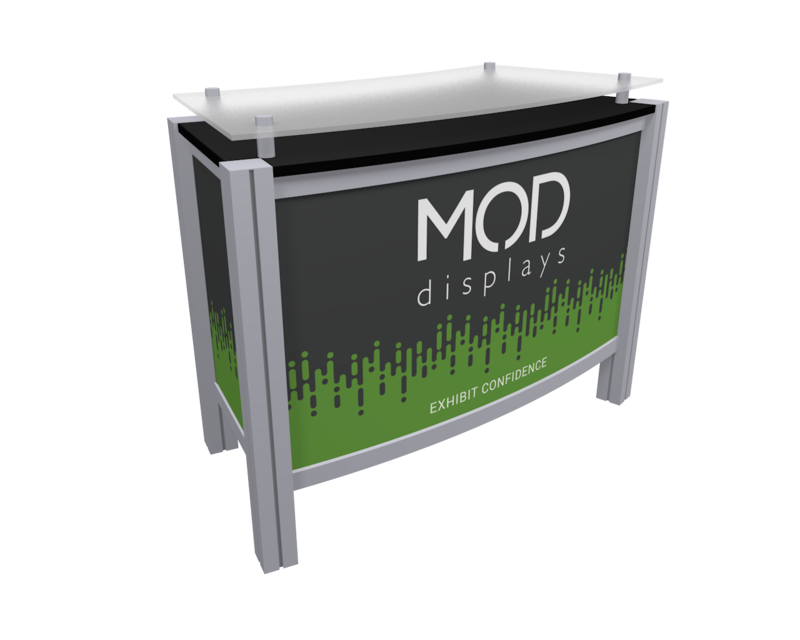 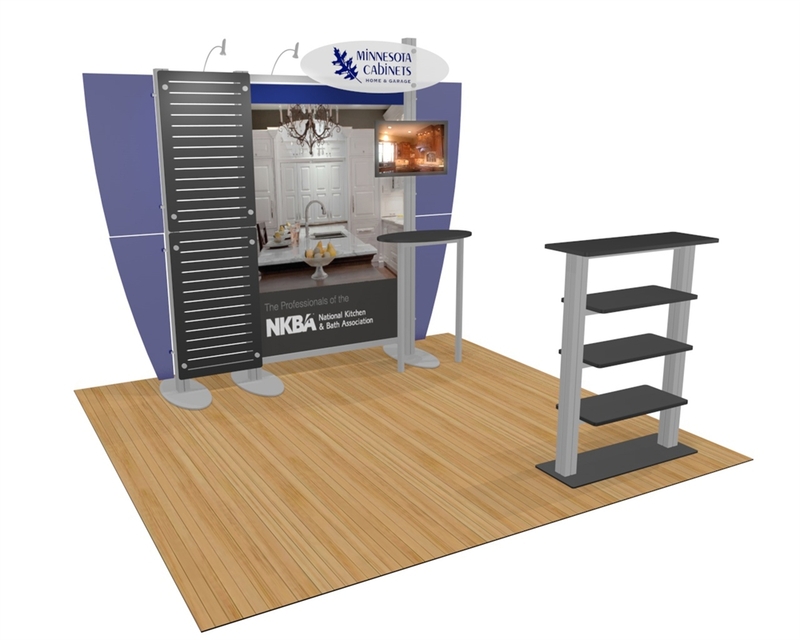 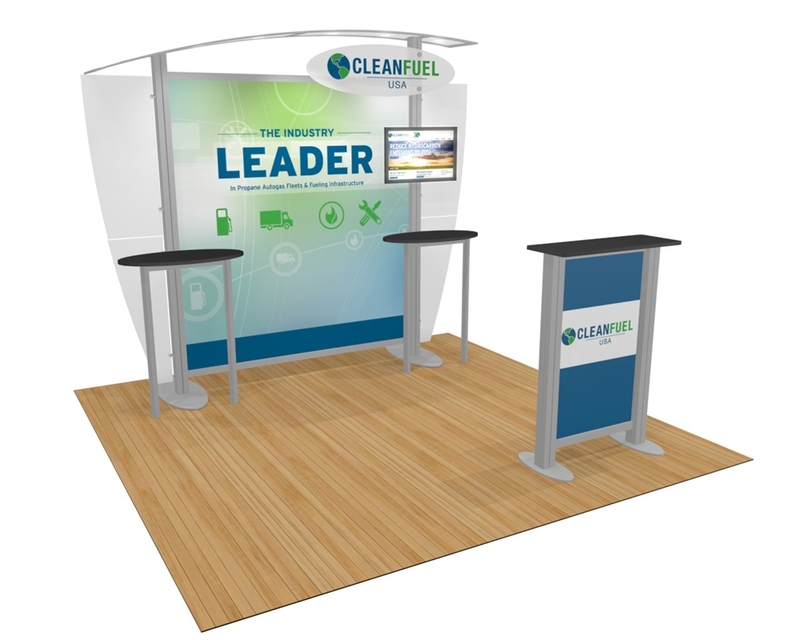 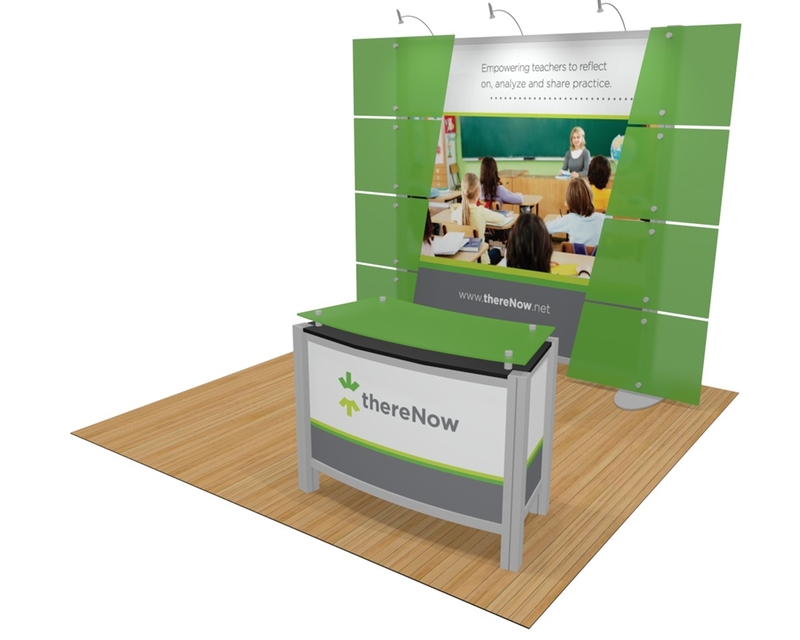 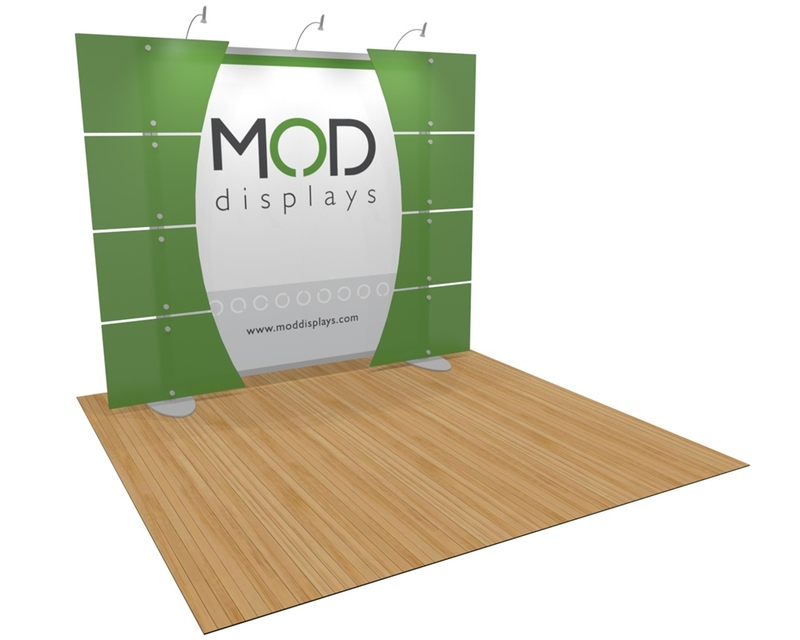 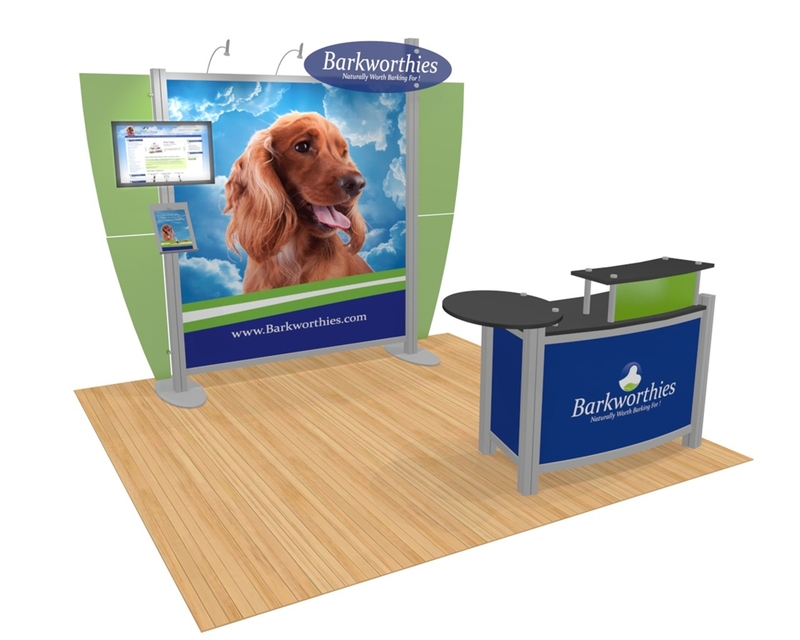 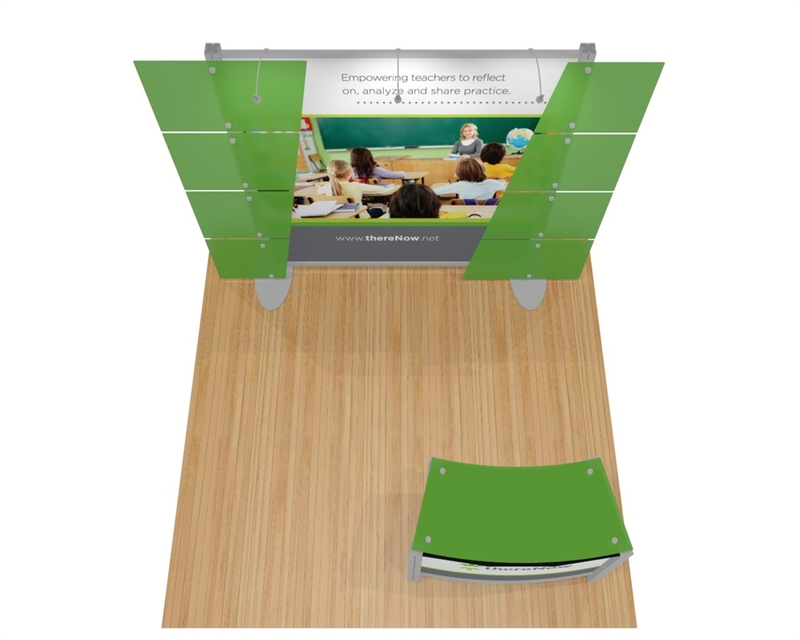 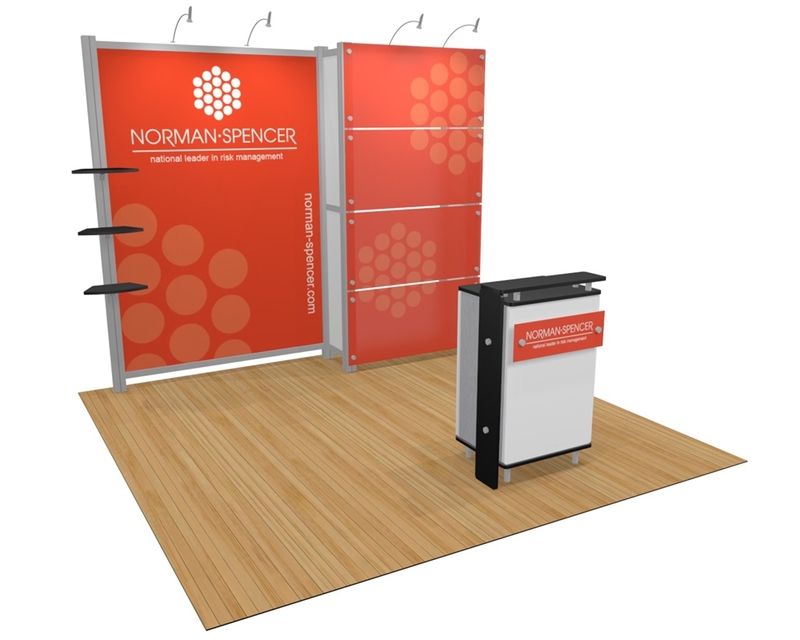 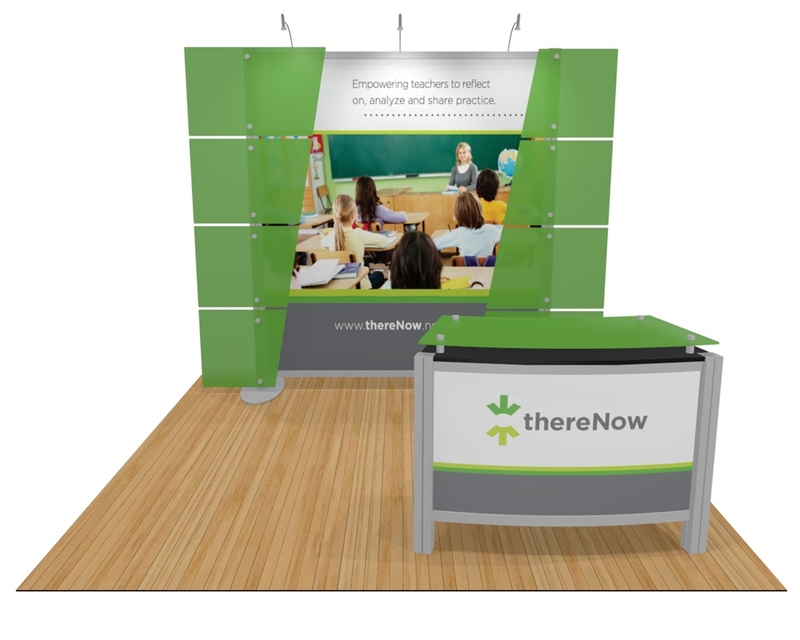 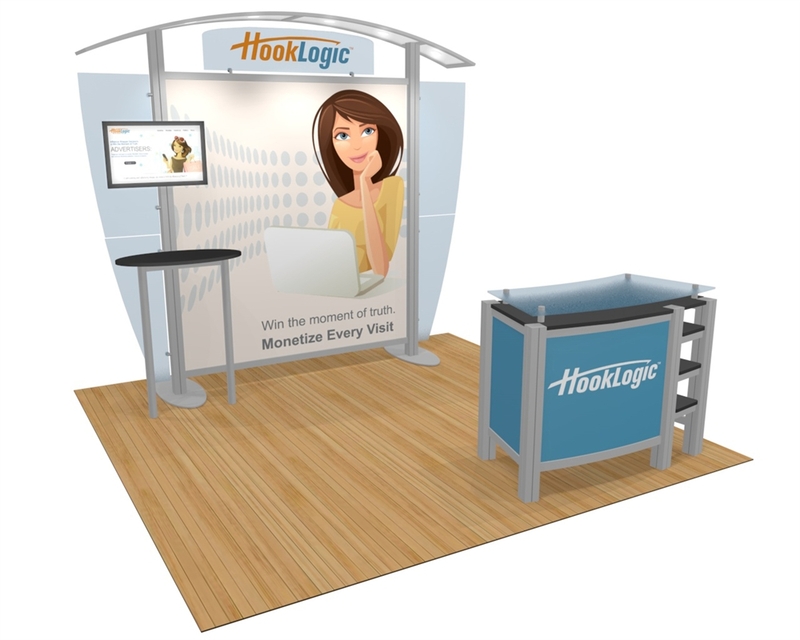 Modern trade show display with a simple set up featuring eight standoff panels that offer custom graphics printing, overhead lighting, and a free-standing counter. 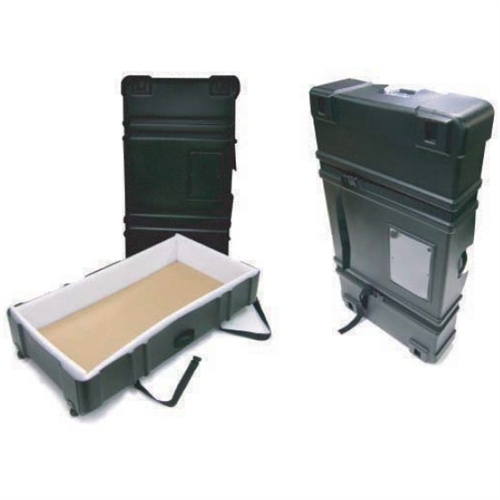 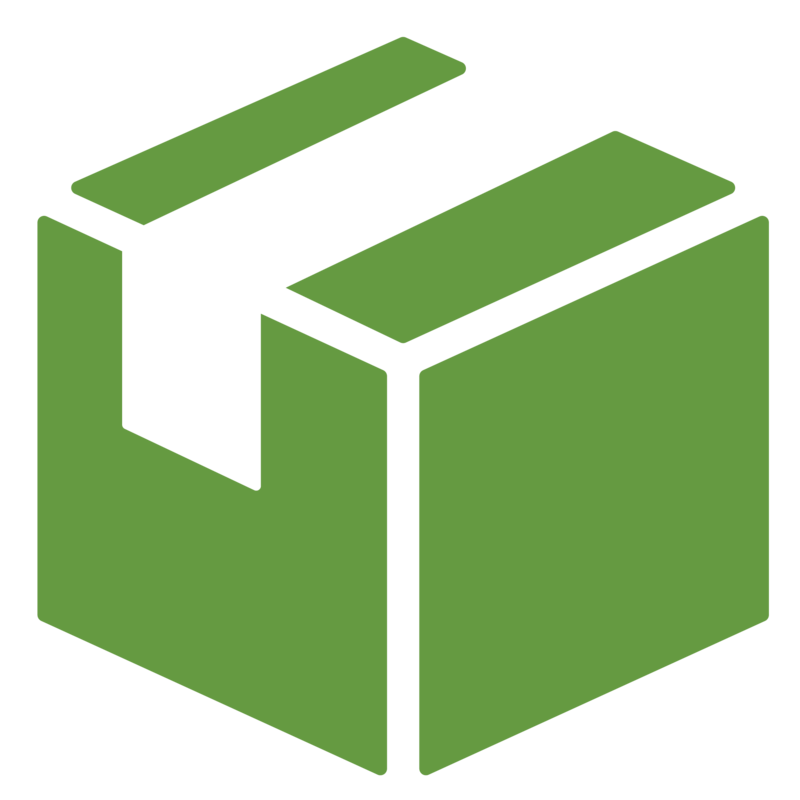 Price includes two hard shipping cases with wheels. 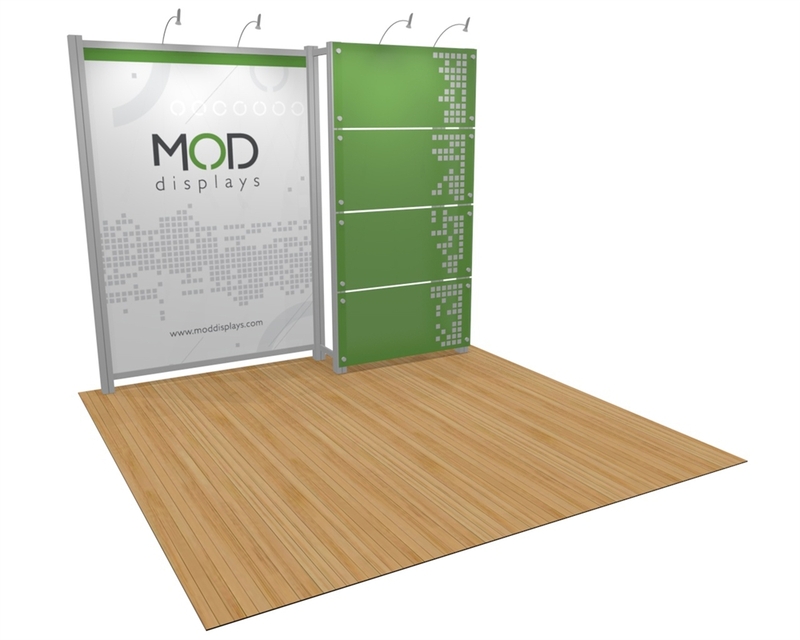 The vertical posts of the XVline trade show display are sturdy 3" aluminum extrusions. 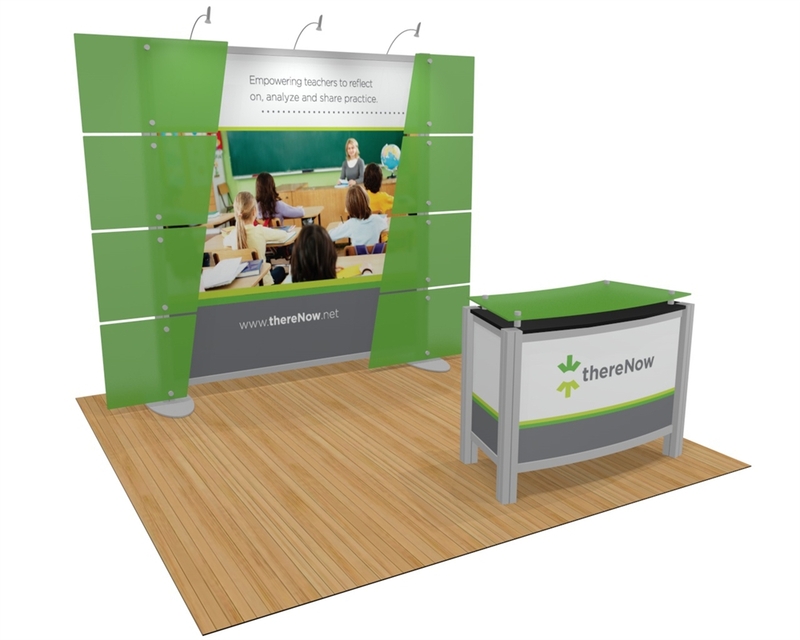 The main graphic is a durable fabric graphic printed with the dye sublimation process and uses proprietary silicone edging for easy installation. 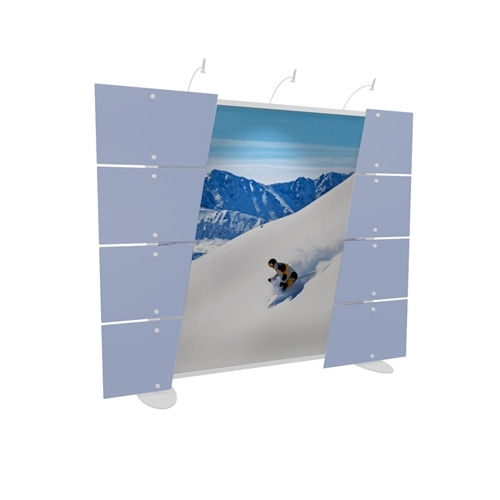 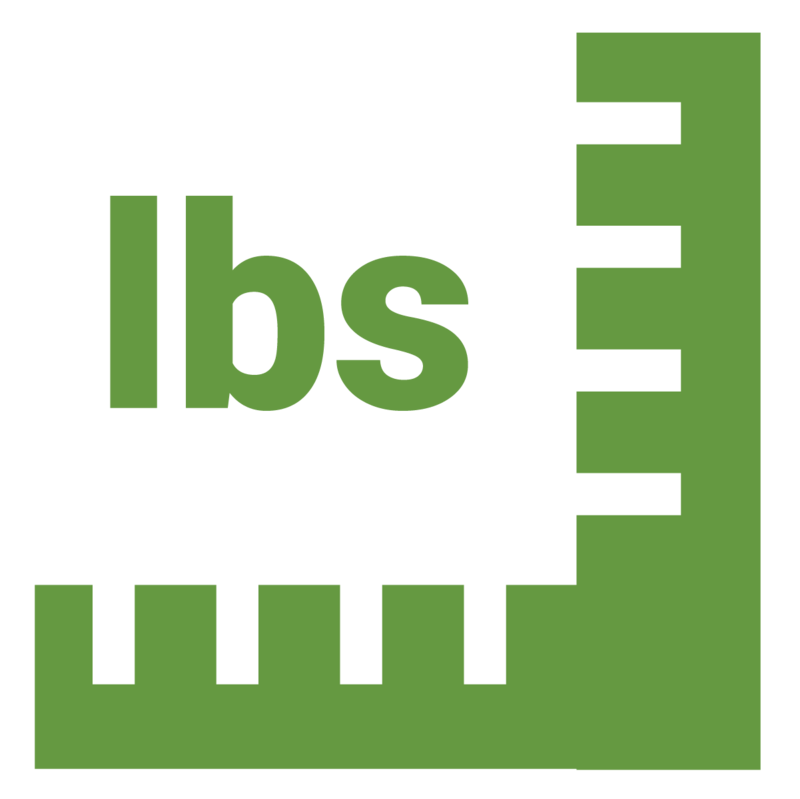 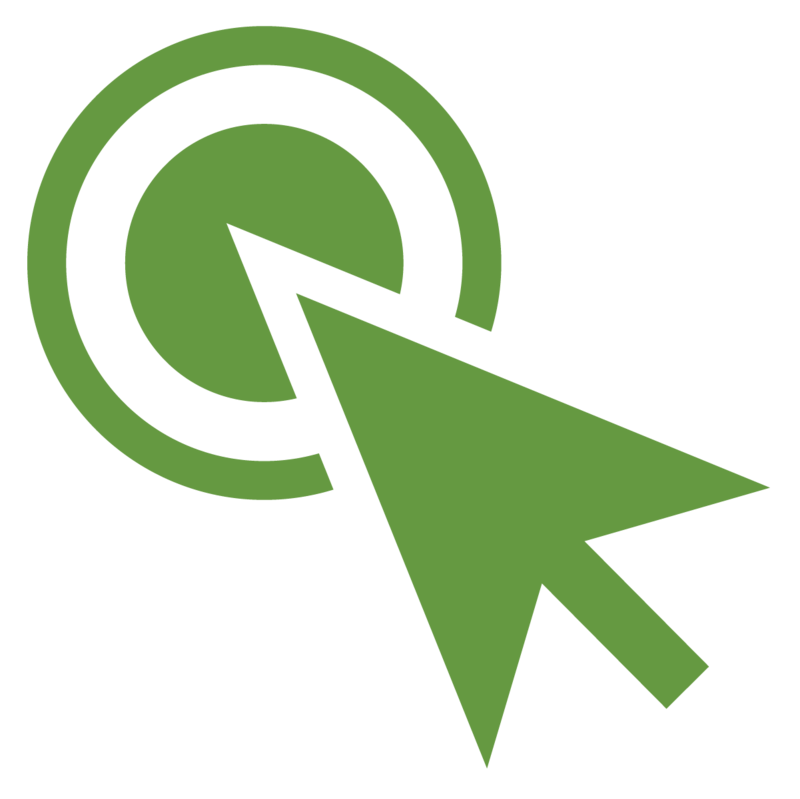 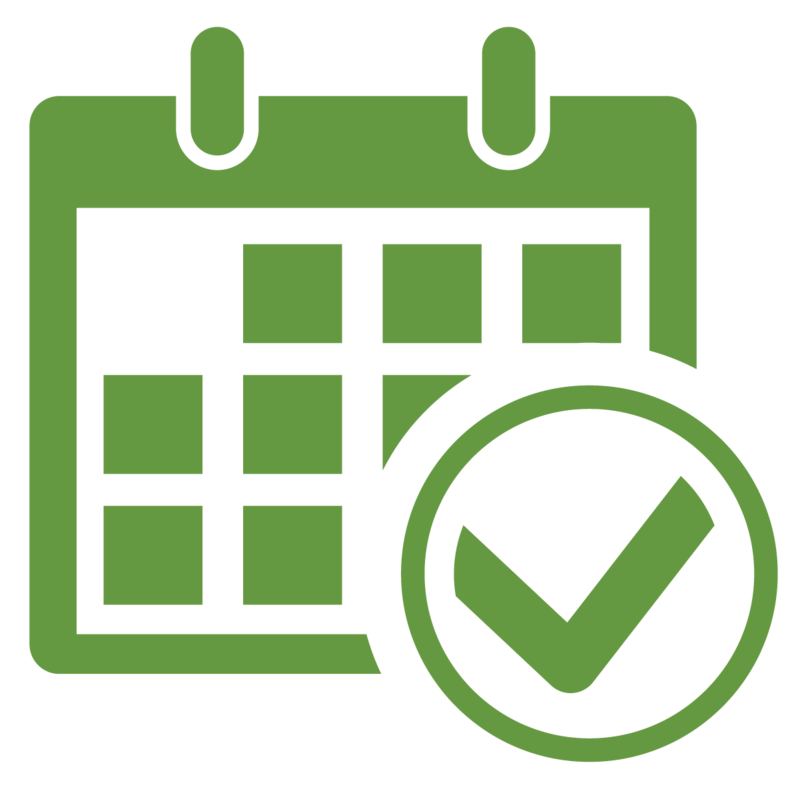 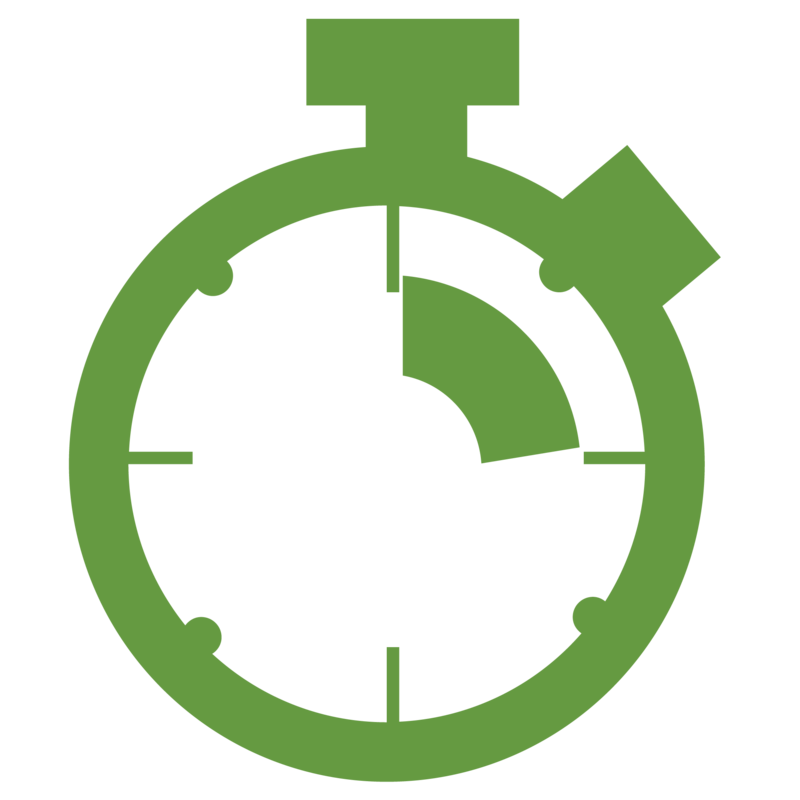 All of our printing process strive for long lasting vibrant images that will last for years.